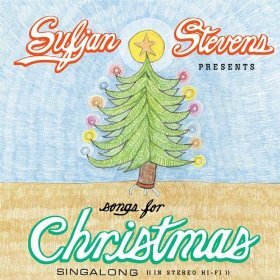 I purchased this album (just an iTunes download, mind you, so I'm focusing strictly on the music here) a few weeks ago - it's the first Christmas album I've bought myself! I've never really had the desire to buy Christmas music, what I have with Trans-Siberian Orchestra and my parent's CDs has always been pretty satisfying and most Christmas music is blah blah blah and been done to death. That's definitely not the case with this album. At 42 tracks, you might think this album gets repetitive. Indeed, there are three renditions of O Come, O Come Emmanuel and two of Low How a Rose E'er Blooming but each is done in a different style (one of my favourite songs is the first version of O Come...) and they're spaced out so I hardly even notice that I'm technically listening to the same song more than once. It was hard for me to pick favourite songs, I just picked the first two that came to mind. When I'm listening to the album, I always think 'Oh, I reallly like this song!' and then a few songs later 'No, this is the best!'. There aren't any songs that I specifically disliked. I'm sure there are a few that aren't that memorable, especially considering the album is 42 tracks long. There's a good balance between traditional and original songs. The original songs are reasonably creative and they aren't all about happy warm-fuzzy Christmas feelings (That Was the Worst Christmas Ever! and Did I Make You Cry on Christmas Day? are examples of what I'm talking about). I don't really have anything to say about the technical goodness of the music. I like the raw sound. I like the arrangements. Nothing too fancy. Just right. Music to enjoy, not to read into. It gets me just into the right mood for a warm Christmas.